I was very kindly invited to visit Enoteca Rosso in return for a review through Love Pop Ups London. However, as always, all opinions are entirely my own. Cinciano certainly has Latin origins and in 1126 it was donated to the Bishop of Florence Gottifredo together with the castles of Linari and Catignano, so the buildings themselves are pretty darn old. The vineyard has been producing wine and oil olive there for just over 50 years and we had headed to Enoteca Rosso to learn more. 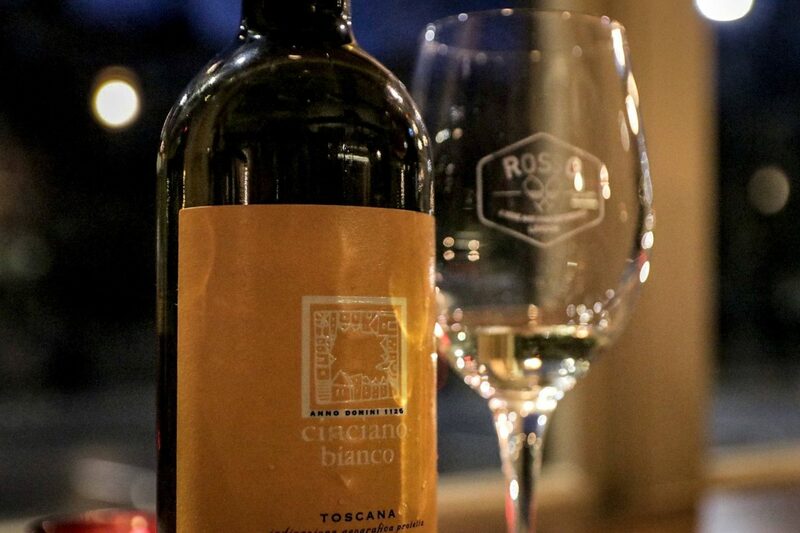 Enoteca Rosso, on Kensington High Steet, are passionate about the exquisite wine and food of Italy so it made total sense for them to host the wine tasting and to pair the wonderful wines with their own delicious food. Upon arrival at 6.30pm, we were handed a glass each so we were armed and ready to kick off the event. We were taught about the background of the vineyard where all harvests are still done by hand and we soon had wine in hand also. We began with the 2017 Cinciano Bianco IGP which is made up from 70% Viognier, 20% Sauvignon Blanc, and 10% Grechetto grapes. This wine was light and filled with fruity aromas making this the perfect accompaniment to white fish and poultry. The second wine of the evening was the 2018 Cinciano Gotifredo which is a 100% Sangiovese Rosé which also so light and fruity. It would be the ideal BBQ wine as it was just so easy to drink and it also pairs very well with aperitifs, fish, and white meat. We then moved onto the reds. 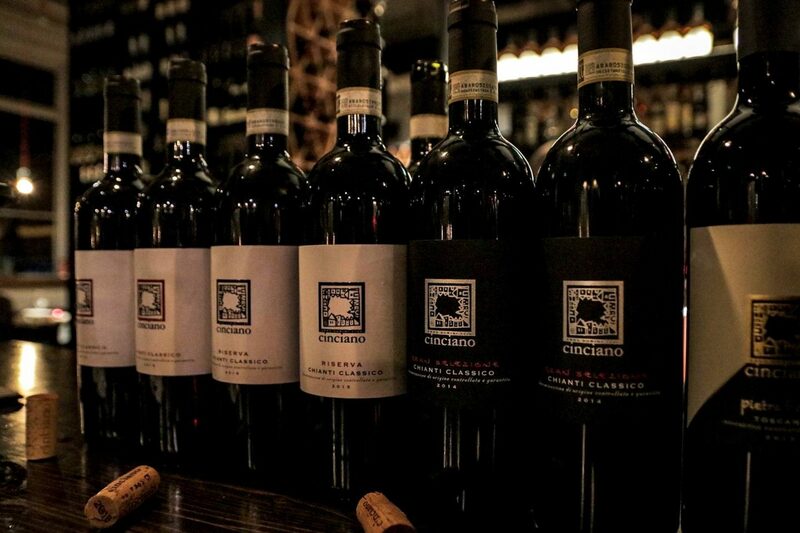 We drink a fair amount of Chianti during the summer as it’s a lighter red wine that’s easier to drink in the heat. Our first was the 2016 Cinciano Chianti Classico DOCG which was another 100% Sangiovese and the perfect pairing for meat, cheese and pasta. For a red, this was light, yet wholesome. Next up was a 2015 Cinciano Riserva Chianti Classico. Each wine we were tasting, for my tastes, were just getting better and better. Being 100% Sangiovese grapes, but aged for longer in their barrels made this wine slightly heavier and a great partner for red meats and mature cheeses. My favourite wine of the evening was the 2014 Cinciano Gran Selezione made with, yes you guessed it, 100% Sangiovese grapes. This was a little heavier again and as we are usually Rioja drinkers, we are partial to more full-bodied wines. This would be a wine I’d purchase 100% for a wine and cheese night! The final wine of the evening was the 2013 Cinciano Pietraforte IGT made up from 80% Sangiovese, 15% Merlot, and 5% Cabernet Sauvignon grapes. This was a really warming wine that has only had 3,000 bottles made so it was quite a privilege to drink. This wine would need quite a highly flavoured dish to power through the flavours. We loved trying all of these wines and learning so much about a vineyard with such old roots such as Cinciano. The service was second to none and we were very well looked after. 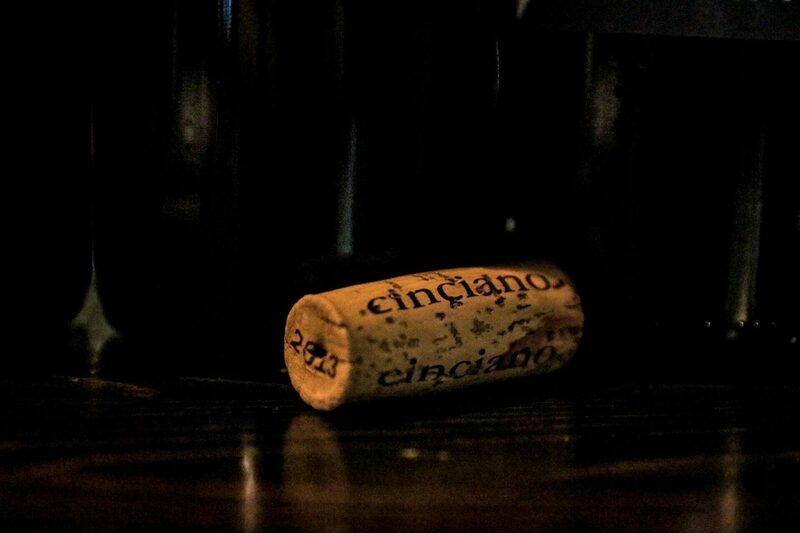 "Channeling my Inner Sherlock at The Game is Now"
"An Evening with Cinciano Vineyard at Enoteca Rosso; The Food Pairing"